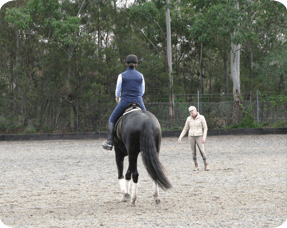 Warringah Dressage Association have been running successful clinics for 8 years. We have had Olympic riders, international judges and coaches visit. Clinics are for all levels to ride or for those who are a little shy – spectate and absorb the lessons being taught. It is not necessary to own or ride a specialist dressage breed to participate and with every clinic it is lovely to watch new riders taking part. Please watch the WDA Calendar or WDA Facebook to see when our next clinic is, but be aware the spots fill VERY fast so you need to act promptly. Participants must be a current EFA (EA) member with a signed waiver. Clinic entry fees are NON refundable unless a suitable replacement is found.